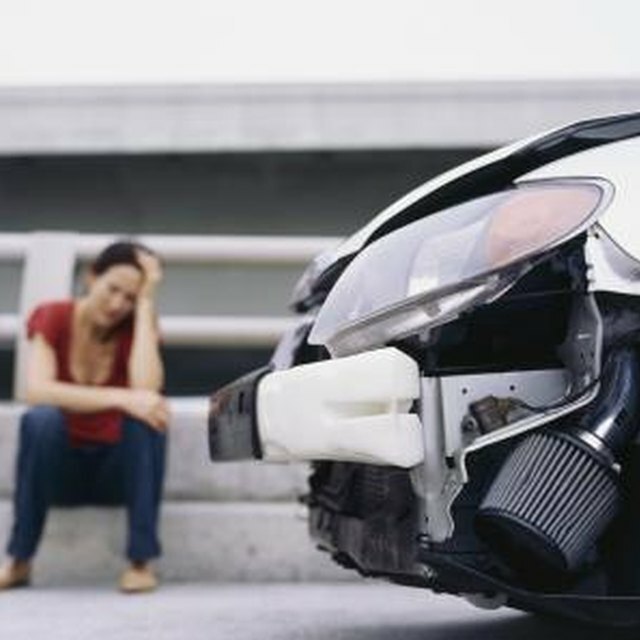 Primary and secondary driver insurance refers to actual drivers and not to separate insurance policies. One insurance policy covers the automobile, but the insurance company uses the primary and secondary designations to write your auto insurance policy. Your insurance agent needs to know the names of all possible drivers of the insured car -- including who will drive the car most -- when you apply for insurance coverage. The primary driver is the person who drives the car most. The automobile insurance company uses information about the primary driver and the vehicle to determine the amount of your insurance premium for the coverage. The insurance company considers the primary driver’s driving history, auto insurance claims, credit record and age to determine risk and calculate the cost of coverage. The primary driver is often, but not always, the owner of the vehicle. The secondary driver usually lives in the same household as the primary driver but does not drive the car as often. A policy may list one or more secondary drivers but only one primary driver. Insurance companies require you to list all individuals who drive the car, even if they use the car only occasionally. Some insurers ask that you list all licensed individuals in the home, even if those drivers have no immediate plan to use the car. If you own more than one car, the insurance company lists you as primary driver on the car you drive the most. The person who drives the second car the most is listed as primary on that car. The insurance company lists other drivers as secondary on one or both vehicles. The insurer may require married couples who own two cars to list each person as primary driver on one car only and list teenage children as secondary drivers on one or both cars. The insurance company might raise your premiums because of secondary drivers on the policy, especially if the individual is a teenager or has a problem driving history. However, listing the secondary driver protects your coverage if that driver is at fault in an accident while driving your car. Allowing an individual to drive your car who is not listed as a secondary driver can invalidate your policy, especially if that driver is a teenager. Check your insurer’s policy for details about primary and secondary drivers. The Law Dictionary: Does Your Car Insurance and Registration Have to Be Under the Same Name?